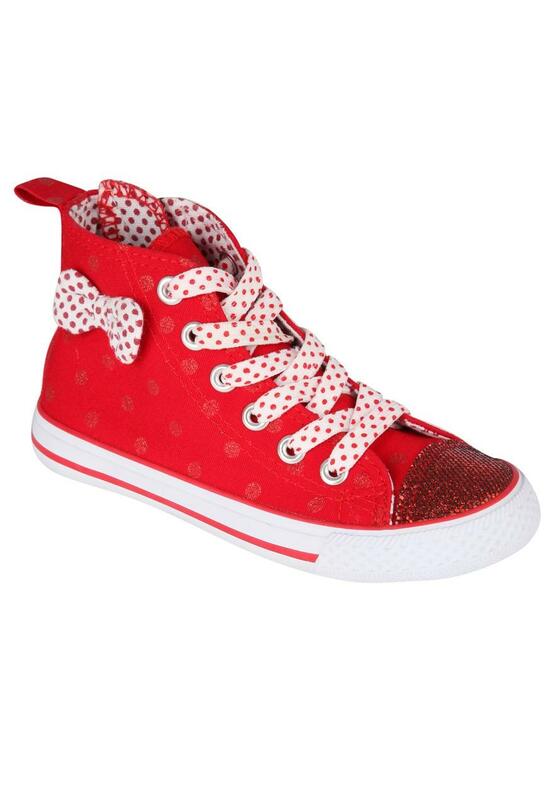 These younger girls bow trim hi top shoes are a fashion must-have. Complete with a sequin toe, a bow trim and zip up sides, these hi tops are one way of getting noticed this season! Pair with skinny jeans for the ultimate stylish look.